If you’d have told me that blogging would become a big part of my business a few years ago, I would’ve laughed in your face. Hell, I barely even knew what blogging was a few years ago! Now, I’m totally engrossed in it and see it as a viable and perfect complement to my nutritional therapy practice. And then I tell them. I have an ebook I just wrote and I promote other products that I really believe in and I drive traffic to my blog by writing a lot of good content (I hope) and sharing it on my very active Facebook page. The sky’s the limit of what you can do with a blog and I’m just fascinated that anyone can do it at all. But most importantly, I really love it! But I’m also REALLY lucky to have connected with an online community of real food bloggers via The Village Green Network. We learn from each other, support each other and help each other grow. You’ll see me sharing a lot of their content on my blog and Facebook page and they do the same for me. But there’s still nothing like getting to know people in person, face to face. And that’s why today, I’m headed to the annual Weston Price conference in Atlanta. Sally Fallon, Joel Salatin, Chris Kresser, Dr. Joseph Mercola, Chris Masterjohn and so many other respected experts in their fields share their knowledge in dozens of fantastic talks over the course of the three days. But as great as all the talks (and the food!) are and as much as I learn every year that’s actually not my favorite thing about the conference. 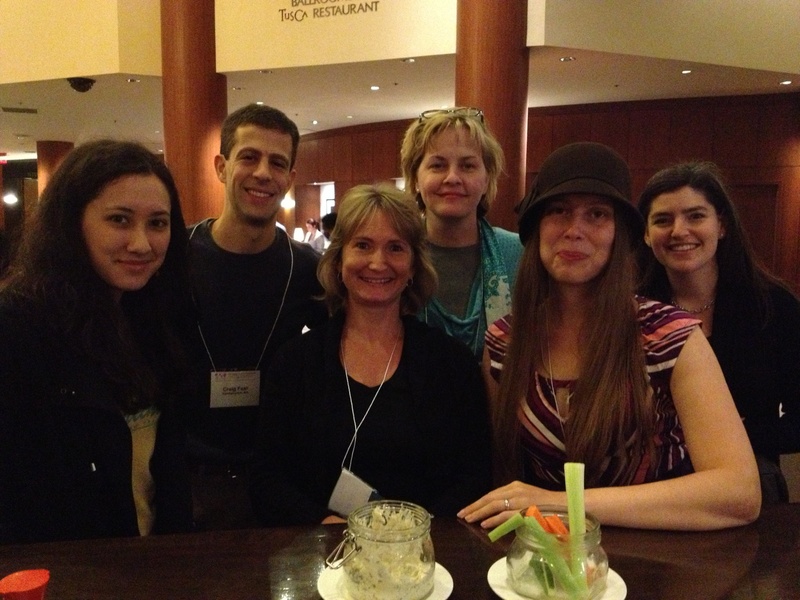 My favorite thing about the conference is that I get to meet my fellow real food bloggers! That’s a photo from last year’s conference. From left to right we got Courtney Polivka of The Polivka Family, some funny looking dude, Kelly the Kitchen Kop, Ann Marie Michaels of Cheeseslave, Kristen Michaelis of Food Renegade and Lindsey Gremont of Homemade Mommy. Of course there were many more and there will be many more this year. It’s SO MUCH FUN to meet everyone. But more than just fun, it’s also important to me personally and professionally. And that’s because when I partner with these bloggers to do book bundles like the one we’re currently doing or when I review their products like their video classes, books and meal plans, I want to do that with genuine trust and enthusiasm. And that happens on a deeper level when we meet face to face but especially at the Weston Price conference. Because at its heart, this conference is all about real food from real farms that raise their food with honesty, integrity and with practices that nourish the earth instead of depleting it. And I really trust people who understand that most basic and essential principle of nutrition. 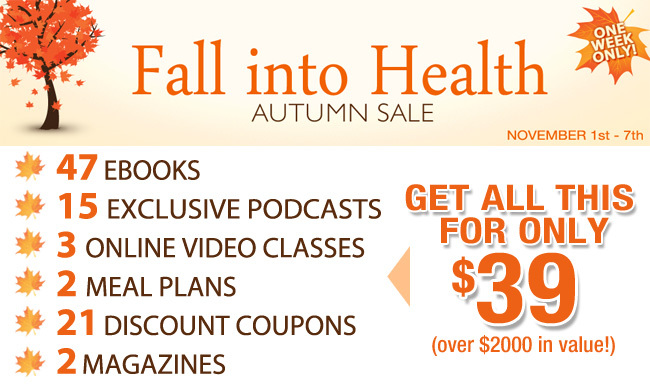 And that’s why the current Fall Into Health Autumn Sale is such an amazing deal! Almost all of the products are in some way or another are about real food and sustainability whether it’s an ebook about cooking, green living, homesteading or a specific issue like eczema, insomnia, weight loss or even heartburn. 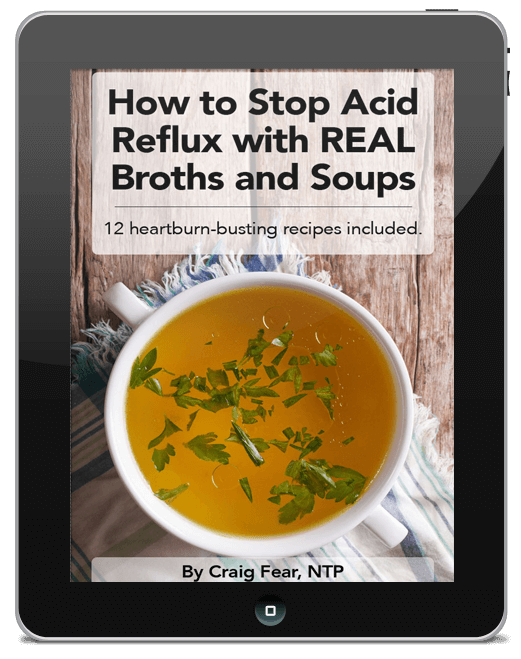 Yes, my e-book, The 30-Day Heartburn Solution is included! I can say with absolute certainty and conviction that the products offered in this bundle are coming from some seriously passionate, experienced and knowledgeable people! I know because I’ve met so many of the authors and have read so many of their books. 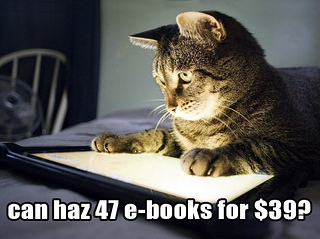 But here’s the deal: Today and tomorrow are the LAST DAYS to get all the great ebooks and products valued at over $2000 for just $39. So don’t miss out on this great opportunity! Note: these bundles are often extended a day or two so don’t hesitate to click if it’s past the deadline. I’ll be in Atlanta and won’t be able to check!